Will the barnyard animals trickâ€”or treatâ€”Farmer Brown? Find out in this Halloween tale from the #1 New York Times bestselling creators of Click, Clack, Moo. Farmer Brown does not like Halloween. So he draws the shades, puts on his footy pajamas, and climbs into bed. But do you think the barnyard animals have any respect for a man in footy pajamas? No, they do not. For them, the Halloween party has just begun. And we all know these critters far prefer tricks over treats. There are big surprises in store for Farmer Brown! Award-winning, nationally bestselling author Kevin Henkes introduces second-grader Billy Miller in this fast-paced and funny story about friendship, sibling rivalry, and elementary school. The Year of Billy Miller was named a 2014 Newbery Honor book by the American Library Association. The Year of Billy Miller includes black-and-white art by Kevin Henkes and is perfect for fans of the Ramona books; Frindle, by Andrew Clements; and the Clementine series. When Billy Miller has a mishap at the statue of the Jolly Green Giant at the end of summer vacation, he ends up with a big lump on his head. What a way to start second grade, with a lump on your head! As the year goes by, though, Billy figures out how to navigate elementary school, how to appreciate his little sister, and how to be a more grown up and responsible member of the family and a help to his busy working mom and stay-at-home dad. Newbery Honor author and Caldecott Medalist Kevin Henkes delivers a short, satisfying, laugh-out-loud-funny school and family story that features a diorama homework assignment, a school poetry slam, cancelled sleepovers, and epic sibling temper tantrums. 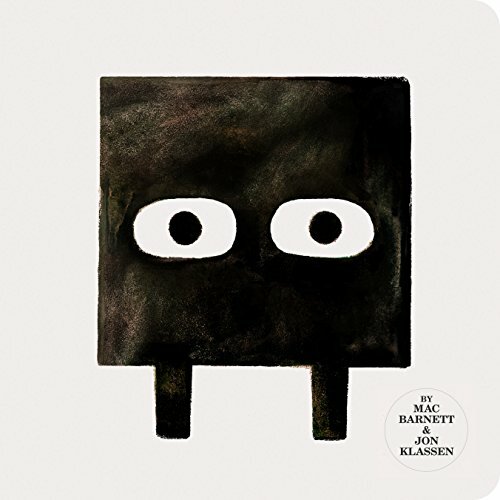 This is a perfect short novel for the early elementary grades. Join in the fun! Amelia Bedelia loves her school. Her whole class gets alongâ€”except when it rains. Then they split into two groupsâ€”the Puddle Jumpers and the Puddle Stompers. Both clubs ask Amelia Bedelia to join, but she doesn't want to choose between her friends. Oh, no! Luckily Amelia Bedelia finds a solution that makes a big splash with everyone. The childhood adventures of America's favorite housekeeper will keep newly independent readers laughing, reading, and expanding their vocabularies! Amelia Bedelia Joins the Club is a Level 1 I Can Read book, which means it's perfect for children learning to sound out words and sentences. Alan loves animals, but the great cat house at the Bronx Zoo makes him sad. Why are they all alone in empty cages? Are they being punished? More than anything, he wants to be their championâ€”their voiceâ€”but he stutters uncontrollably. The witch and her cat are happily flying through the sky on a broomstick when the wind picks up and blows away the witch's hat, then her bow, and then her wand! Luckily, three helpful animals find the missing items, and all they want in return is a ride on the broom. But is there room on the broom for so many friends? And when disaster strikes, will they be able to save the witch from a hungry dragon? In the grand tradition of â€œRaindrops on roses and whiskers on kittensâ€� comes an uplifting tribute to 100 everyday things worth celebrating. The list, in rhyming couplets, draws directly from a preschoolÂ­erâ€™s worldâ€”from slippery floors to dinosaurs, from goldfish to a birthday wish. Amy Schwartz weaves a masterful balance between art and text, with each of the 100 items portrayed as its own well-observed and warmly detailed vignette. While the contents provide readers with a frame of reference for the quantity of â€œ100â€�â€”a celebratory milestone in preschools and early elementary gradesâ€”the oversized pages envelop young children in the wonderful things surrounding them. A buzzy fly and a mischievous kitten make a mess on the farm in this contemporary twist on a classic rhyme. that Zack built . . . Readers in the know may recognize Zack and his trusty dog, Rufus, from Alison Murrayâ€™s Hickory Dickory Dog. Now Zack is enjoying a day on the farm, building an amazing house with his blocks. But nearby, a wandering fly has attracted the attention of an inquisitive and determined feline. Stalking and chasing through stylish illustrations, the cat unintentionally creates havoc. Sleeping dog and serene lambs scatter, and the fly lands precariously on top of Zackâ€™s house. What will Zack do? Children will buzz over this delightful read-aloud â€” and parents and teachers will appreciate Zackâ€™s commonsense clean-up. Clover the bunny and his friends are on their first camping trip. But when itchy spots appear on Clover's paws, only Dr. KittyCat knows how to make him better. Clover has two-color art inside! Supercute photographs of real puppies and kittens combine with hand-drawn green line art for a completely unique look. No one likes baths. What a waste of time! Thereâ€™s so much more important stuff to do! Plus, baths are super dangerous for a number of reasons. You want me to list a few? Most household accidents happen in the bathroom. Scientific fact! A kid in Texas turned into a prune after taking a bath. Scientific fact! If you need more evidence, allow me to point you to an excellent book called 101 Reasons Why I'm Not Taking a Bath. Itâ€™s full of insightful and logical reasons why you should definitely not be subjected to this useless ritual. Joy Ang and Stacy McAnulty really understand how dumb baths are, and have done a top-notch job of demonstrating why. A charming bedtime counting book about ten sneaky little characters who arenâ€™t ready to go to sleep... until daddy calls the sensei to send them back to bed. Like her classmates, builder Iggy and inventor Rosie, scientist Ada, a character of color, has a boundless imagination and has always been hopelessly curious. Why are there pointy things stuck to a rose? Why are there hairs growing inside your nose? When her house fills with a horrific, toe-curling smell, Ada knows itâ€™s up to her to find the source. What would you do with a problem like this? Not afraid of failure, Ada embarks on a fact-finding mission and conducts scientific experiments, all in the name of discovery. But, this time, her experiments lead to even more stink and get her into trouble! Inspired by real-life makers such as Ada Lovelace and Marie Curie, Ada Twist, Scientist champions girl power and women scientists, and brings welcome diversity to picture books about girls in science. Touching on themes of never giving up and problem solving, Ada comes to learn that her questions might not always lead to answers, but rather to more questions. She may never find the source of the stink, but with a supportive family and the space to figure it out, sheâ€™ll be able to feed her curiosity in the ways a young scientist should. Iggy Peck and Rosie Revere have earned their places among the most beloved childrenâ€™s characters, and they have inspired countless kids and adults to follow their dreams and passions. 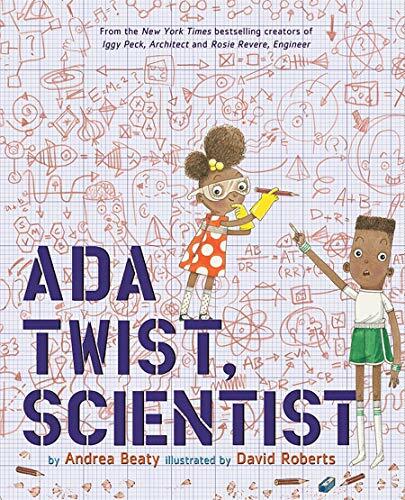 Now in her own charming and witty picture book, determined Ada Twist, with her boundless curiosity for science and love of the question â€œWhy?,â€� is destined to join these two favorites. The book is the perfect tool to remind both young girls and women that they have the intelligence and perseverance to achieve their dreams. Sophie Mouse discovers a giant paw print in Pine Needle Groveâ€”and follows it right into a bearâ€™s denâ€”in the ninth charming book of The Adventures of Sophie Mouse series! While Sophie and her friends are exploring Sassafras Alley, they come across a huge paw print. They have seen paw prints before, but theyâ€™ve never seen one this big! What sort of animal could have made such a giant paw print? As the friends go on an adventure to find out, they are in for a great, big surprise! 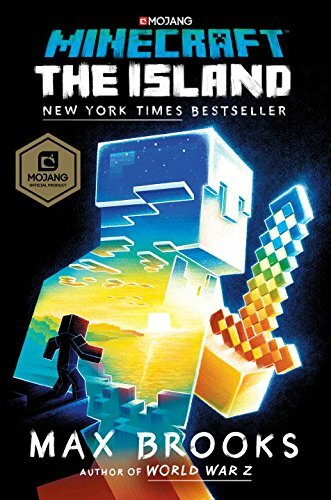 Before they can go up, they have to go back―travel through time with Andy and Terry as they attempt to save the treehouse! 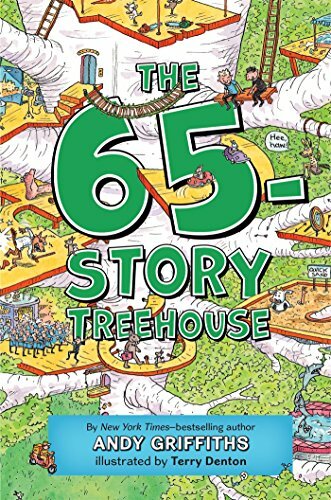 New York Times bestselling author Andy Griffiths invites readers to come hang out with him and his friend Terry in their 65-Story Treehouse-the fifth book in the illustrated chapter book series filled with Andy and Terry's signature slapstick humor! Andy and Terry live in a 65-Story Treehouse. (It used to be 52 stories, but they keep expanding.) It has a pet-grooming salon, a birthday room where it's always your birthday (even when it's not), a room full of exploding eyeballs, a lollipop shop, a quicksand pit, an ant farm, and a time machine...which is going to be really, really useful now, since Terry messed up (again) and the treehouse just FAILED it's safety inspection. 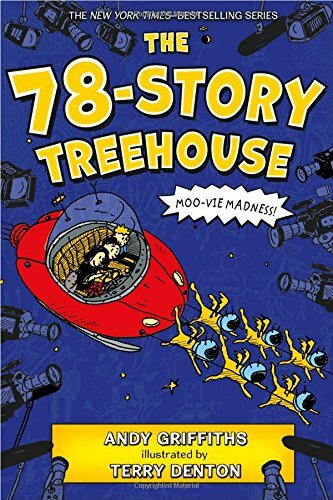 Join Andy and Terry on a whirlwind trip through time as they try to stop the treehouse from being demolished! 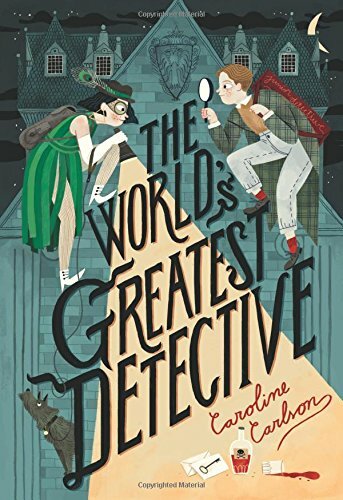 Caroline Carlson, author of the Very Nearly Honorable League of Pirates series, returns with The World’s Greatest Detective, a story of crime, tricks, and hilarity for those who know that sometimes it takes a pair of junior sleuths to solve a slippery case. Detectives’ Row is full of talented investigators, but Toby Montrose isn’t one of them. He’s only an assistant at his uncle’s detective agency, and he’s not sure he’s even very good at that. Toby’s friend Ivy is the best sleuth around—or at least she thinks so. They both see their chance to prove themselves when the famed Hugh Abernathy announces a contest to choose the World’s Greatest Detective. But when what was supposed to be a game turns into a real-life murder mystery, can Toby and Ivy crack the case? 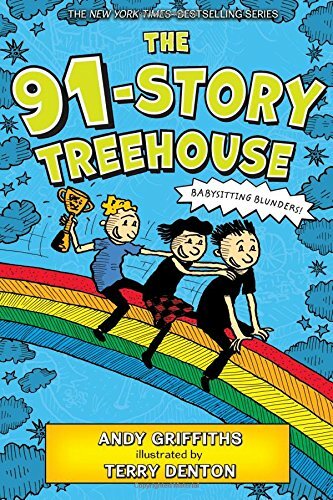 New York Times bestselling author Andy Griffiths invites readers to come hang out with him and his friend Terry in their 78-Story Treehouse―the sixth book in the illustrated chapter book series filled with Andy and Terry's signature slapstick humor! Andy and Terry live in a 78-story treehouse. (It used to be a 65-story treehouse, but they just keep building more levels!) It has a drive-thru car wash, a courtroom with a robot judge called Edward Gavelhead, a scribbletorium, a combining machine, an ALL-BALL sports stadium, a high-security potato chip storage facility, and an open-air movie theatre with a super-giant screen . . . which is a very useful thing to have now that Terry’s going to be a big-shot movie star! After Andy gets cut out of the movie, he and Terry have a big fight and decide they don’t want to be best friends anymore. But with a herd of sneaky spy cows out to steal all their story ideas, can Andy and Terry make up before it’s too late? Andy and Terry live in a 91-story treehouse. (It used to be a 78-story treehouse, but they keep getting ideas for new stories!) It has a submarine sandwich shop that serves sandwiches the size of actual submarines, an air-traffic control tower, a human pinball machine, a spin-and-win prize wheel, a giant spider web―with a giant spider!― and a big red button, which they’re not sure whether to push or not because they can’t remember what it does. Good thing there’s so many fun things to do in the treehouse, because Andy and Terry get stuck babysitting Mr. Big Nose’s three grandchildren for the day. After all, how much trouble could they possibly get into in just one day? In Enchantasia, becoming a legendary prince or princess doesn't happen overnight. Enter Royal Academy, the training ground for the fairy tale leaders of tomorrow! But Devin has major reservations about her new school and her royal future. How can she be a princess and the best creature caretaker Enchantasia has ever seen? It doesn't help that there's something seriously weird about RA's headmistress. Olivina seems obsessed with preparing students for possible attacks from villains ("A royal can't rule when they're stuck in a tower!") 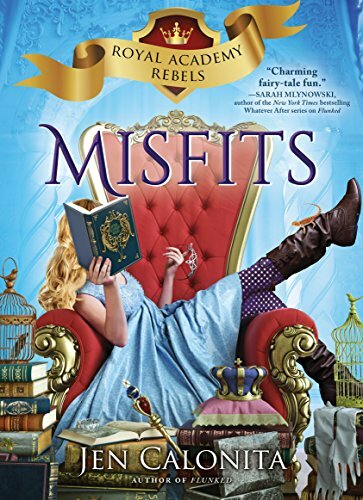 Devin gets that being Snow White and Rapunzel's fairy godmother has probably made Olivina pretty paranoid, but anytime someone steps a toe out of line, Olivina becomes more of a fairy nightmare than a fairy godmother. Fans of number one New York Times bestselling author and celebrated journalist Cokie Roberts will love this stunning nonfiction picture book based on her acclaimed work for adults, Founding Mothers, which highlights the female patriots of the American Revolution. This compelling book supports the Common Core State Standards with a rich time line, biographies, an authorâ€™s note, and additional web resources in the back matter. Our mission: to make math a fun part of kidsâ€™ everyday lives. We all know itâ€™s wonderful to read bedtime stories to kids, but what about doing math? Many generations of Americans are uncomfortable with math and numbers, and too often we hear the phrase, â€œIâ€™m just not good at math!â€� For decades, this attitude has trickled down from parents to their kids, and we now have a culture that finds math dry, intimidating, and just not cool. Bedtime Math wants to change all that. This time, Bedtime Math 2 is getting personal and talking all about Y.O.U. Inside this book, families will find fun, mischief-making math problems to tackleâ€”math that isnâ€™t just kid-friendly, but actually kid-appealing. With over 100 math riddles on topics from missing socks and glitter to your favorite wild pet and how fast you can run, kids will find math isnâ€™t just fun, it can be found in their everyday lives. And with three different levels of challenge (Wee ones, Little kids, and Big kids), plus a brand-new Bonus question, thereâ€™s something for everyone. We can make numbers fun, and change the world, one Bedtime Math puzzle at a time. Fans of the Chicago Bears and Green Bay Packers have been feuding for nearly a century. But which team has claimed more championships? The New York Giants had a big victory over the Philadelphia Eagles in their first meeting. But who comes out on top these days? Young sports fans learn the answers to these questions and more in answers to these questions and more in Outrageous Football Rivalries. You may be familiar with Adams's iconic black-and-white nature photographs. But do you know about the artist who created these images? As a child, Ansel Adams just couldn't sit still. He felt trapped indoors and never walked anywhere--he ran. Even when he sat, his feet danced. But in nature, Ansel felt right at home. He fell in love with the gusting gales of the Golden Gate, the quiet whisper of Lobos Creek, the icy white of Yosemite Valley, and countless other remarkable natural sights. From his early days in San Francisco to the height of his glory nationwide, this book chronicles a restless boy's path to becoming an iconic nature photographer. Get to know celebrated Supreme Court justice Ruth Bader Ginsburgâ€”in the first picture book about her lifeâ€”as she proves that disagreeing does not make you disagreeable! Supreme Court justice Ruth Bader Ginsburg has spent a lifetime disagreeing: disagreeing with inequality, arguing against unfair treatment, and standing up for whatâ€™s right for people everywhere. This biographical picture book about the Notorious RBG, tells the justiceâ€™s story through the lens of her many famous dissents, or disagreements. Turn your pile of LEGO bricks into a day of fun! This unique activity book has step-by-step instructions and tons of photos to teach you how to build all-new and totally awesome robots and a robot lab, race cars to race your friends and jet planes to zoom across the room at lightning speed or fit in your pocket for on-the-go play. You can build wild animals then take your minifigures on a safari to see a lion, tiger, monkey and more! Build your own LEGO town with a playground, skate park and go-cart entertainment arena. Your knight minifigures will have a real adventure when they encounter a green fire-breathing dragon! Help the knights win the battle by building a catapult and a crossbow that really work. Think youâ€™re a LEGO pro? Then try the no-instruction projects, where you can put your creativity and LEGO building skills to the test by building something using just a photo as a guide. No matter how you use it, this book will help you and your family or friends have a crazy amount of fun building new toys and scenes with your LEGO bricks! Containing star charts, a guide to the constellations, and details about seasons and the movement of the objects we see in the sky, this classic book makes H. A. Reyâ€™s passion for astronomy evident on every page. New updates concentrate on the planetary and solar system information in the latter part of the book. Facts and figures for each planet have been revised, and new scientific information has been added, such as Plutoâ€™s reclassification as a dwarf planet. There's also a brand-new online resource that allows readers to track the positions of the planets in the night sky till the year 2100! 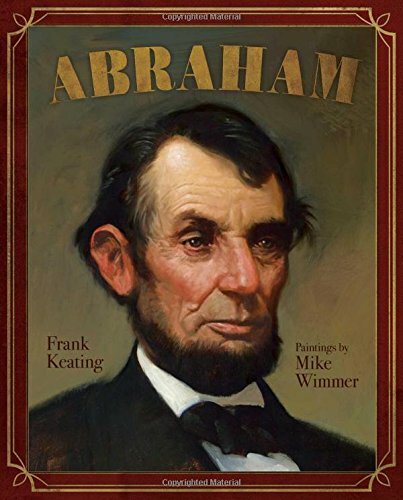 Frank Keating takes you on an ultimate tour of Abraham Lincolnâ€™s life from boyhood to presidency in this biography, which includes stunning paintings by award-winning artist Mike Wimmer that bring the sixteenth President of the United States to vivid life. To say Abraham Lincoln came from humble beginnings is an understatement. He was born in a Kentucky log cabin with a packed-dirt floor, rough slab roof, and leather-hinged door. He went barefoot for most of the year and wasnâ€™t expected to amount to much. But reading was everything to him and his free time was consumed by books. Abraham Lincoln read furiously, studied law, and knew that hard work was his only path to making a change in the world. When he ran for the presidency, he stood for unityâ€”one people and one land. He brought freedom to all citizens, ended slavery, and made the country whole again. This visual tour de force is based on historical documents and chronicles Honest Abeâ€™s life from boyhood to his extraordinary leadership position as the sixteenth President of the United States of America. Do you have what it takes to be an astronaut? Blast off in this fun nonfiction picture book by the author of Pop! The Invention of Bubble Gum to find out! 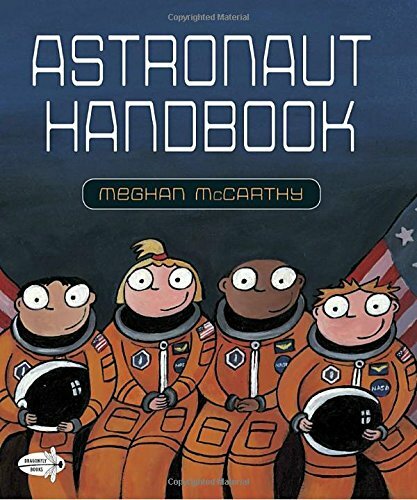 With an appealing text and funny, brightly colored illustrations, Meghan McCarthy transports aspiring space travelers to astronaut school in her young nonfiction picture book. Take a ride on the â€œVomit Cometâ€� and learn how it feels to be weightless. Try a bite of astronaut food, such as delicious freeze-dried ice cream. Have your measurements takenâ€”100 of your hand aloneâ€”for your very own space suit. Get ready for liftoff! One part science, one part cultural history, and countless parts fascination, Bees celebrates the important role that these intriguing insects have played in our ecosystem throughout the ages. From Athena to Alexander the Great and from Egypt to Ethiopia, Bees explores different methods of beekeeping and uncovers the debt that humans owe this vital species. 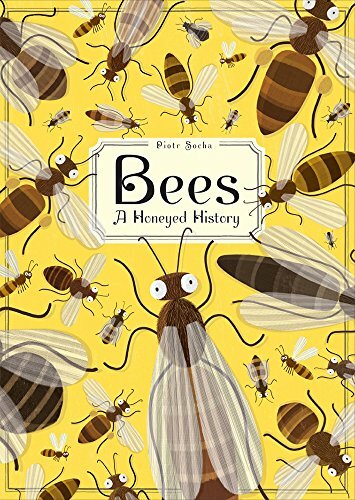 With beautifully accessible illustrations depicting everything from bee anatomy to the essentials of honey making, readers will be captivated by the endless wonders of this seemingly small speck of the animal kingdom. British soldiers were everywhere. There was no escape. Nathaniel Fox never imagined he'd find himself in the middle of a blood-soaked battlefield, fighting for his life. He was only eleven years old! He'd barely paid attention to the troubles between America and England. How could he, while being worked to the bone by his cruel uncle, Uriah Storch? 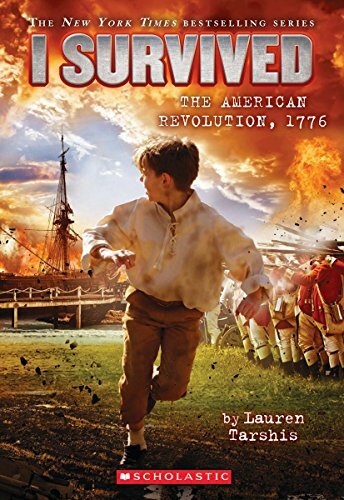 But when his uncle's rage forces him to flee the only home he knows, Nate is suddenly propelled toward a thrilling and dangerous journey into the heart of the Revolutionary War. He finds himself in New York City on the brink of what will be the biggest battle yet. 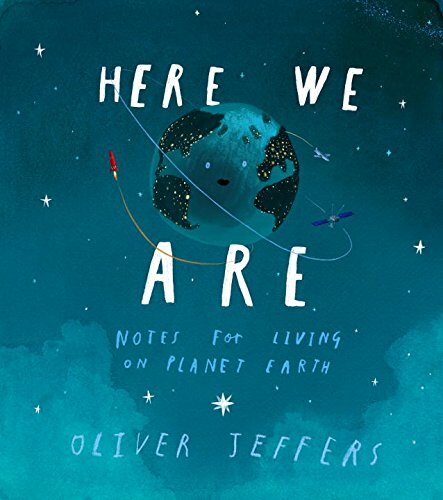 Oliver Jeffers, arguably the most influential creator of picture books today, offers a rare personal look inside his own hopes and wishes for his child--and in doing so gifts children and parents everywhere with a gently sweet and humorous missive about our world and those who call it home. Insightfully sweet, with a gentle humor and poignancy, here is Oliver Jeffers' user's guide to life on Earth. He created it specially for his son, yet with a universality that embraces all children and their parents. 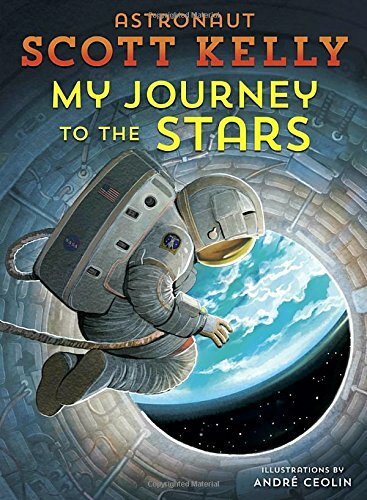 Be it a complex view of our planet's terrain (bumpy, sharp, wet), a deep look at our place in space (it’s big), or a guide to all of humanity (don’t be fooled, we are all people), Oliver's signature wit and humor combine with a value system of kindness and tolerance to create a must-have book for parents. Egypt is known for its spectacular pyramids, but what else does the country have to offer? 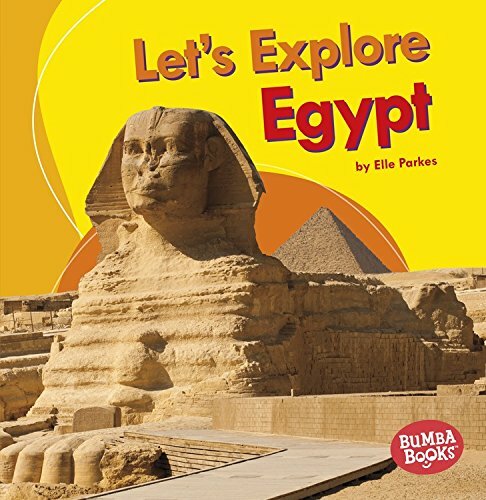 Explore Egypt's amazing features, including the Nile River, the dry desert, and more. 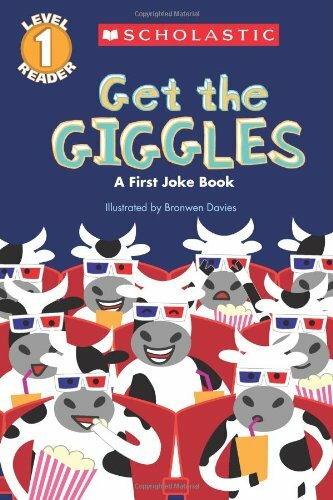 This joke book is sure to tickle your funny bone! Why is it hard to play cards in the jungle? -There are too many cheetahs. -Time to get a new fence. These hilariously simple jokes will have beginning readers rolling on the floor with laughter. Space is all around us, but how much do we know? Where do we even begin... Space Kids is the building block upon which children can learn about our universe. 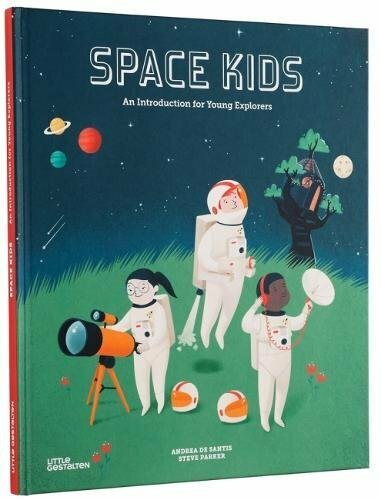 Covering topics such as stars, planets, moons, and rockets as well as the basics of gravity and how astronauts eat and sleep in space, Space Kids moves through complex ideas with an accessibly fresh and original style. Andre De Santis’ beautifully rendered illustrations spark the imagination whilst Steve Parker’s simple text brings a sense of awe to the biggest of topics. Not only does Space Kids teach young astronauts about space but it also serves as a reminder about how special we are on planet Earth. This little corner in the vast universe is host to an abundance of life and the most spectacular is the tiny human who is holding this very book. A must-have introduction for any budding young scientist. Think fast with A.J. and Andrea from My Weird School! Did you know that manatees swim by farting? Did you know that a cat named Stubbs was the mayor of Talkeetna, Alaska, for fifteen years?! Learn more weird-but-true animal facts with A.J. and Andrea from Dan Gutman’s bestselling My Weird School series. This all-new series of nonfiction books features hundreds of hysterical facts, plus lots of photos and illustrations. 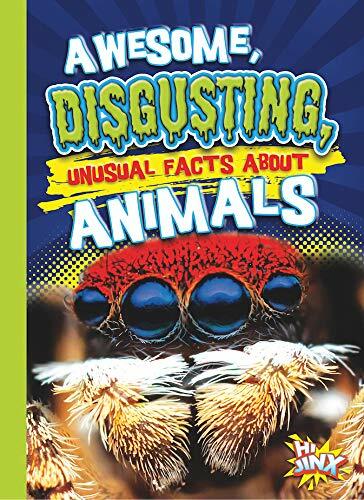 Whether you’re a kid who wants to learn more about animals or simply someone who wants to know which animal is faster than an Indianapolis 500 racecar, this is the book for you! Shares awesome, disgusting, and unusual facts about animals through conversational text and creative images. 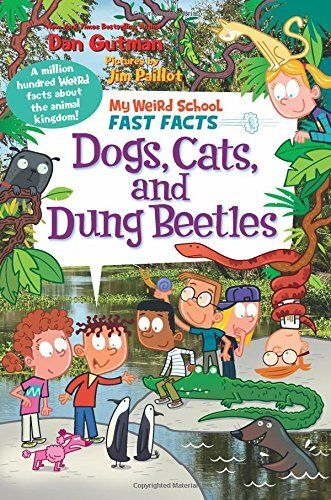 It's time to take fun fact and trivia books to a whole new level with awesome, disgusting, and unusual facts that kids will rush to share with their friends. Through closely leveled text, readers will find themselves laughing and learning.